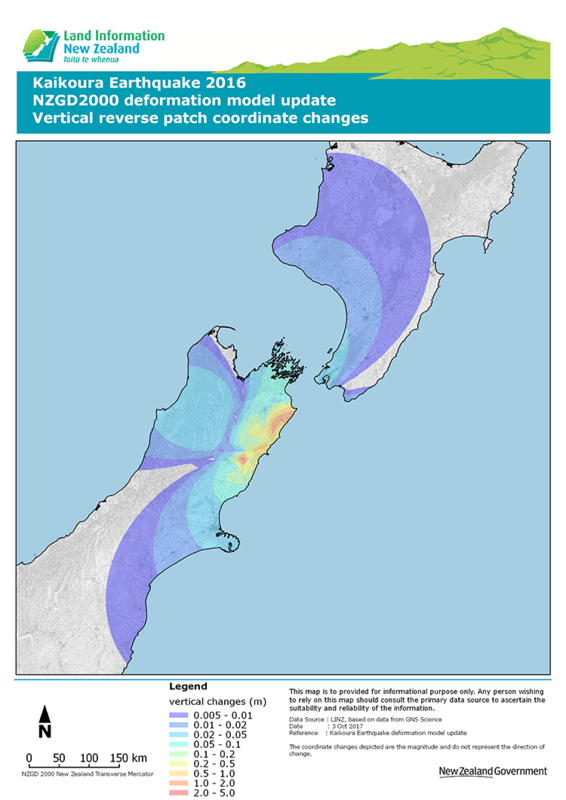 In this issue we bring you news on a ton of new aerial imagery data, elevation data for Wellington and Waikato, and a heads up of new survey data and changes to datasets impacted by the upcoming Kaikoura Earthquake coordinate update. The last few months have seen a number of changes to the LINZ Data Service as we moved the service to the cloud. Thank you to you all for bearing with us while we’ve made these changes. We’ll all benefit through access to even more open data and faster downloads. We can’t put everything in this update so follow us on Twitter for more news from LDS. Are you using our data and think we should be following you? Use the @LINZLDS handle and let us know! Speaking of access to more data, you can now download 18 new aerial imagery datasets from LDS. This data covers areas from Northland to Invercargill, with capture dates between 2014 and 2017. We’re particularly excited about the new rural data for Northland, which replaces some of the oldest and disparate aerial imagery on LDS. 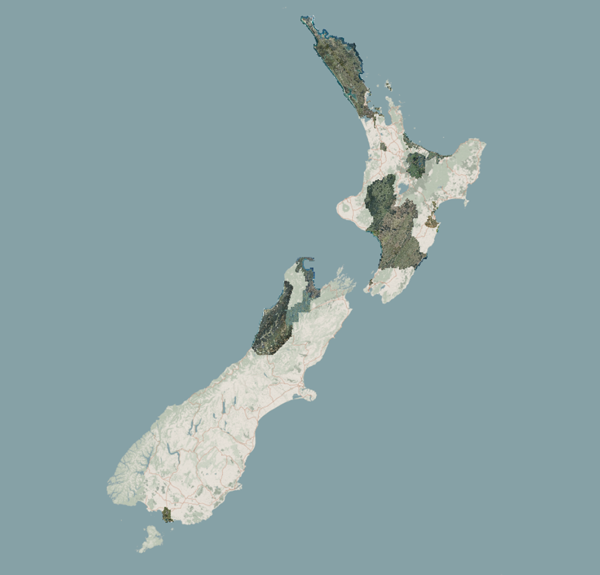 You may also want to check out the new datasets for Manawatu and Whanganui which together cover about 25,000 square kilometres. If you’re interested in elevation data, we have published two new LiDAR datasets – Waikato (West Coast and Hauraki Plains) and Wellington. As usual, a DEM, DSM and index tiles are available for each. 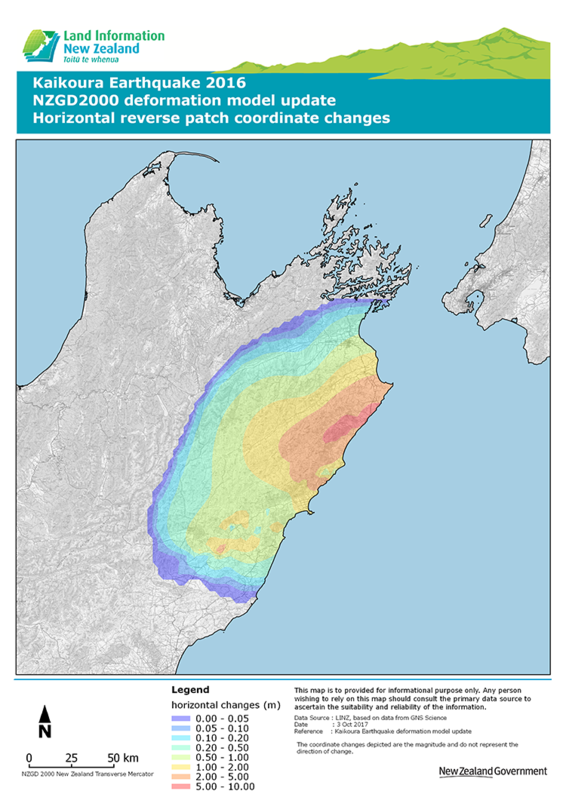 Next year will be big for elevation data, with additional coverage for the Waikato (Thames, Paeroa and Ragland), the entire Auckland region, and substantial coverage from Nelson and Tasman. Later this year, LINZ will be updating coordinates in Landonline of a large area affected by the Kaikoura Earthquake. This update will then flow through to a number of datasets in LDS, including parcel, and cadastral and geodetic survey mark datasets. In the case of parcel boundaries, for example, 72,700 parcels will be updated in one go. Coordinates and orders of cadastral and geodetic marks in the most affected areas will also be updated and/or downgraded. The worst affected areas will be moved by about 6 metres horizontally, though the majority will be much less. The images below show the extent of the proposed horizontal and vertical updates. Transformation tools will be made available to update coordinates in GIS databases to keep then aligned to NZGD2000 including NZTM2000. Please contact the LINZ Positioning and Resilience team if you have any questions or would like to receive further information about the update. While we will keep bringing you new and better data, we hope more government agencies will soon be able to do the same. We’re supporting this by making access to the software that underlays LDS more easily available to agencies who want to create their own data publishing service. Rather than develop or negotiate for their own service, agencies can use the same contract as LINZ to create their own LDS-type service on the Koordinates platform. If your agency has data to share, check out the Data Service Syndicated Contract Buyers Guide, or you can contact LINZ. Did you know you can now use a single account to access data across all Koordinates data sites? All you need to do is create a Koordinates ID. The next time you log in to LDS you’ll be prompted to complete a quick sign up process, verifying your email address and creating a password. You’ll then need to sign to migrate your account. If you also use the MfE Data Service and LRIS Portal from Landcare Research, you will need to sign in to each to migrate and merge your account information to a Koordinates ID. See the LINZ website for more information on changes to our login process. In a few weeks, we’ll be releasing another survey-related dataset sourced from Landonline. The Ordinate Adjustment table contains detailed information about changes to Landonline coordinates, and how accurate they are. When combined with data in other tables, such as Adjustment Run, it will allow you to assess the likely reliability of coordinates by providing details of the adjustment date, connections to geodetic control and amount the coordinates changed by at each adjustment. The Ordinate Adjustment table will be part of the Full Landonline group, and be available to download with related datasets from the Marks and Adjustments set. Are you interested in best practice for making open data? Then you may like to head along to one of the events being held in November by our Data Service Syndicate partner, Koordinates.